Here at Nu Flow, we take training and certification seriously. 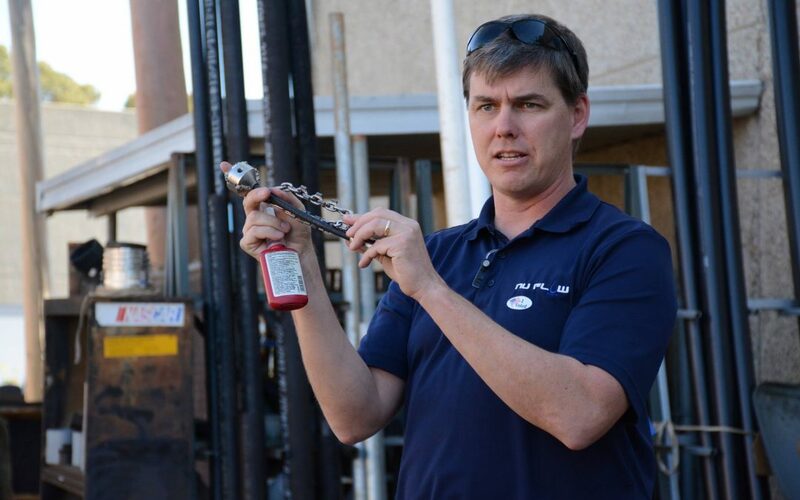 All of our Nu Flow pipe lining technicians train with a certified plumber at Althoff Industries that are also Nu Flow technologies trained, and we attend Nu Flow technologies conferences in order to stay up-to-date on the newest technological advancements in pipe lining and the newest installation procedures. By making sure our pipe lining technicians are properly trained and certified, we are able to offer, high-quality, long-lasting pipe lining services to commercial buildings and residential homes in Chicago. At Nu Flow, we believe that employee training starts with the basics. This is why every new pipe lining technicians trains with a certified, licensed plumber at Althoff Industries. In Chicago, licensed plumbers are required to be at least 18 years old, and they must have completed at least four years as an apprentice plumber before they are eligible to take the plumbing test. 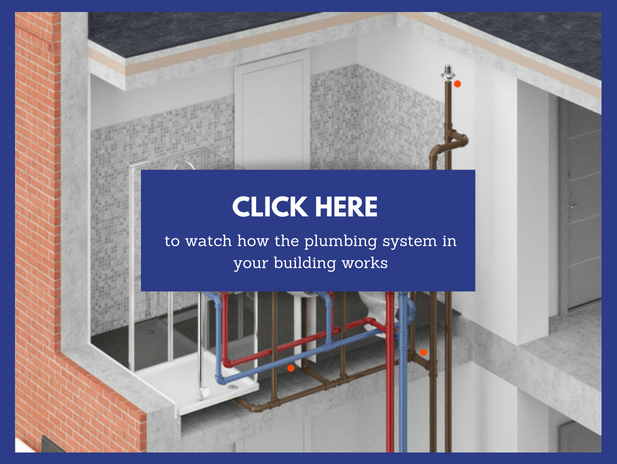 In those four years as an apprentice, the plumber-in-training must complete certain requirements each years in order to remain a plumbing apprentice, including 144 hours of classroom training and 2,000 hours of on-the-job training. They must also complete OSHA 10 training and take and pass CPR and first aid courses. By learning the basics of traditional plumbing, our pipe lining technicians are given the educational foundation they need to be able to determine if there are any problems with the plumbing pipe and make a recommendation as to whether or not to line the pipe. Our pipe lining technicians also know when a combination repair/replacement plan is needed. In instances where some pipes cannot be lined, our technicians will create a combination plan that includes replacing the worst plumbing pipes and lining the rest of the pipes to prevent future corrosion and deterioration, which affordably restores the plumbing system in your Chicago building. 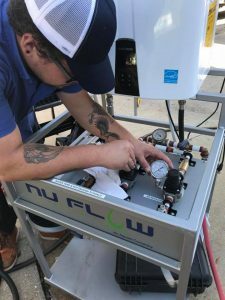 Of course, in addition to being licensed, a Nu Flow plumber must also be certified in Nu Flow Technologies so that they can apply best practices when it comes to pipe lining. This also gives our pipe lining technicians the foundation they need to become certified as a Nu Flow pipe lining technician. Nu Flow installer training provides on-site training. They offer advanced technology training courses and provide knowledge, coaching and assistance with specific pipe lining projects. Each new pipe lining technician in training also receives a packet of training materials, and they are required to attend ongoing Nu Flow technology training seminars. Each year, our pipe lining technicians, both experienced and new, attend Nu Flow industry conventions and conferences. These conferences provide valuable information and education on the pipe lining industry, the latest installation procedures and the newest products in pipe lining. This year, there were four industry conventions. The first convention was in February. The second convention was in March. The third convention was in May, and there is an upcoming Nu Flow convention October 21 through 24 in Huntington Beach, California. 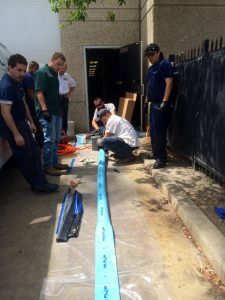 Here at Nu Flow, we are dedicated to the proper training of all of our pipe lining technicians so that we can provide you with the best possible products and services, and that means offering you the best repair and replacement options, even if that means foregoing pipe lining in favor of a traditional repair. If you’d like to know more on our training and certification procedures, we’d be happy to answer your questions. To learn more about our pipe lining technologies and certification or to schedule an appointment for a pipe assessment, call us at 815-790-9000.